Businessman and philanthropist Paul Ramsay, founder of Ramsay Health Care and the Prime Media Group, has died at the age of 78. He is reported to have suffered a heart attack whilst overseas and died on his return to Australia. 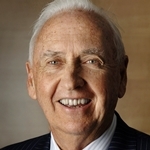 Ramsay had founded the Ramsay Health Care group with a single hospital in 1964, with the business now operating through 150 hospitals and clinics in Australia, Europe and Asia. The company employs over 30,000 and attends to 1.4 million patients each year. In the 1980s he expanded his investments into television, buying a handful of regional stations in New South Wales and Victoria. 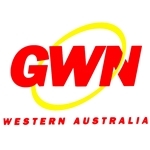 These stations formed the foundation of what is now the Prime Media Group, with its Prime7 network broadcasting across regional markets in New South Wales, Victoria and Western Australia (as GWN7) plus Canberra and the Gold Coast. The company had recently re-affirmed its ties to the Seven Network with the signing of a ten-year affiliation deal. Ramsay sold his investment in Prime, reported to be worth $96 million, in February and stepped down as Chairman. “The decision to sell my shareholding comes with mixed emotions. 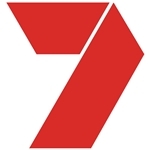 However, I feel that with the certainty of the new affiliation agreement with Seven Network and the operational improvements in place, the company is well positioned for the future,” he said at the time. “Paul Ramsay was a true gentleman. Prime is honoured to have had the opportunity to work with a man of his stature. For twenty nine years, Paul served as the Chairman of Prime and played a significant role in the growth of regional television in Australia. It is a very sad day for the directors and staff of Prime who came to know and respect Paul during his tenure. He was held in high regard by all who met him. 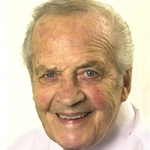 Paul was a philanthropist, a generous benefactor, a kind friend and a supportive colleague. Ramsay was conferred an Officer of the Order of Australia for services to the community in 2002. He was reported to be Australia’s ninth richest person, and 499th in the world, with an estimated fortune of $3.5 billion. He was not married and had no children. The bulk of his financial assets will be transferred to his foundation The Paul Ramsay Foundation which offers grants and donations to charities and medical research groups. Paul Ramsay AO is survived by siblings Peter and twin sister Ann. What better tribute could be made to this man than with this video. It tells all about the humble beginnings of his empire from a small Sydney clinic in the early 60s. He was definitely the quiet achiever of Australian tycoons. He will be sadly missed.